Why are our products the best? We print all of our labels in house so we have full control over every aspect of printing. No drop shipping, no outsourcing, and no unknown changes from a supplier. Our materials are made for prolonged outdoor exposure and abuse. 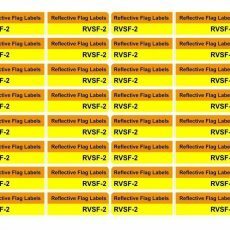 We constantly are working to improve and optimize the performance of our labels, and we have recently upgraded our laminate material. We guarantee you will be satisfied with the labels. Have you ever set something down for a moment, and when you came back to it, there are 3 other ones just like yours? Accentuate your gear with unique colors and custom text to make it your own. 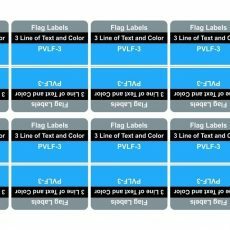 Our labels and markers look better than crocked strips of tape, and are ready to apply. 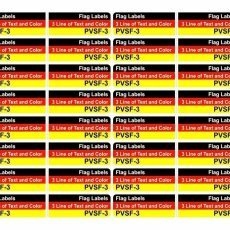 All of our labels are precut and intended to fit different pieces. Spend your time planning your trip, rather than cutting various pieces of tape or dabbing fingernail polish on your gear. Our precut labels go on fast, giving you more time to plan your next outing, or bing watch the latest hot streaming series. Good gear isn't cheap, and while it may feel like thieves are waiting to take our stuff, often times lost gear is found, but there is no way to find who owns it. 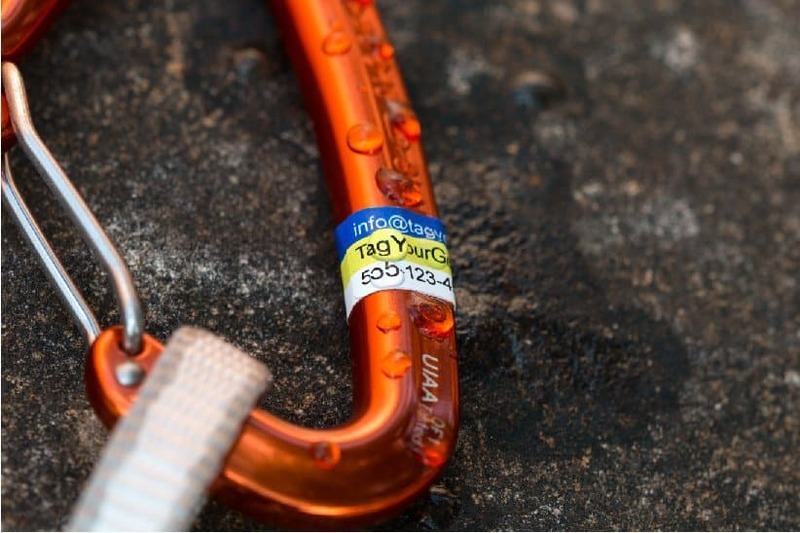 Our labels allow you to put any contact information that you like on your gear. 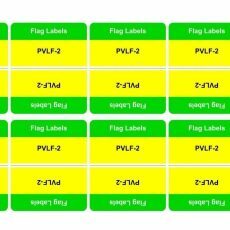 All of our tags have multiple colors to uniquely mark your gear. We call them stripes, and have 2 or 3 stripe versions. Choose from 13 different colors in any combination that you like. You can select the same color for all of stripes, match your home flag, or your own pattern. It's your choice. We also offer a line of text for each stripe. You can choose just about any text that is an ASCII character, including the special characters accessed with the 'Alt' key such as ö, ú, and ê. Put your name, nickname, phone number, whatever fits, we can do it. We have limits to the number of characters that can fit and try to have the same limit for all of our tags so you can keep the same info across multiple tag styles. 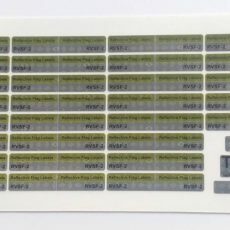 You no longer need to deal to with Avery templates to print out labels, or apply multiple strips of colored tape to identify your gear. In one step, you will have multiple colors and custom text on your gear. 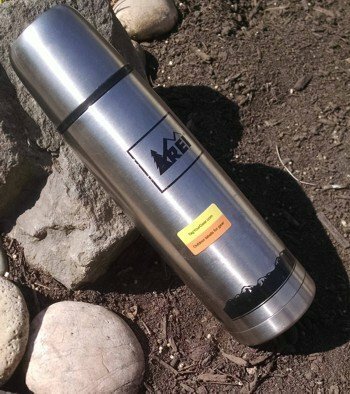 Our tags are as easy to apply as any sticker or decal. They conform well to compound shapes, and only need a clean surface to adhere to. Save your time. Take a few moments to design and order your tags. In a few days you will have them arrive in the mail and you are ready to go. For best results, leave the tags on the gear for one day in order for the adhesive to reach it's maximum strength, and if it's cold outside, keep the gear into a warm room for that day. We have received numerous messages from customers describing how they have received a call or email about gear someone found, and they had not realized that gear was even missing! When a lost item is "found" the finder now has to locate the owner. Often times that owner is not nearby and the finder has no way of identifying who the item belongs to. 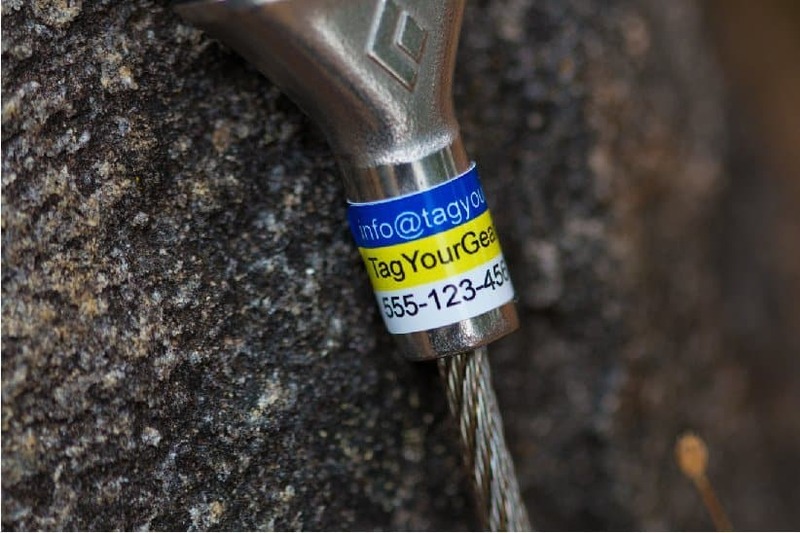 Out tags give your gear a fighting chance of making it back to you. It's an easy way to protect your gear. 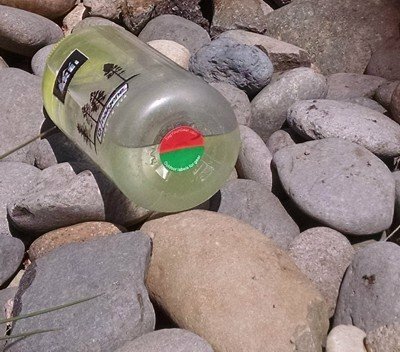 Just think of how many lost items you have come across and left because of the challenge of finding the owner.